A phone service is a connection to another phone system. In most cases, you will use a phone service to allow your Ryng Phone System to make and receive phone calls to and from the public telephone network. All phone services must use the SIP protocol. 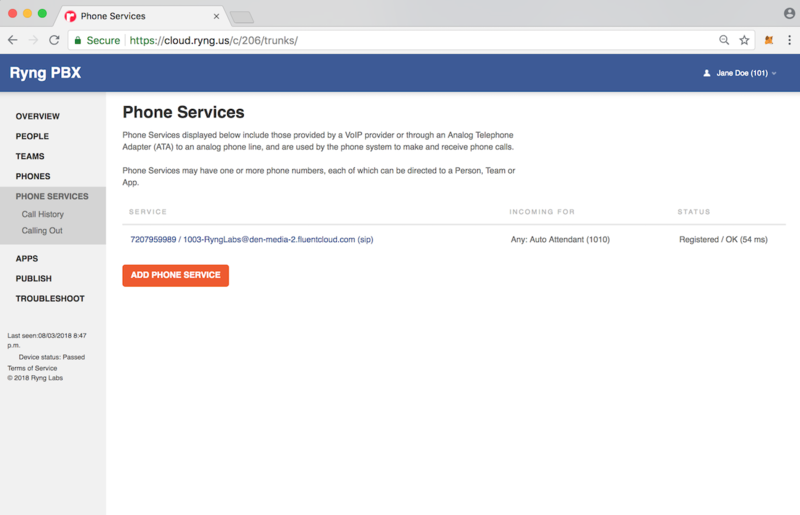 The default screen shown when the Phone Services tab is clicked shows a list of all configured phone services on your Ryng Phone System. To modify a phone service, click the phone number/SIP username/SIP server link (under the Service column) next to the phone service that you wish to edit.